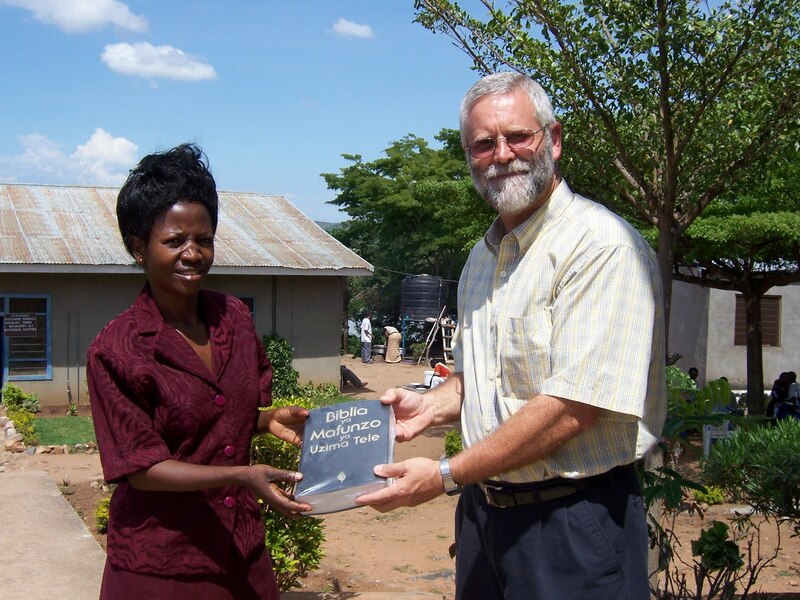 Thanks to the generosity of some of our ministry partners, we have received enough money to buy 143 Swahili Full Life Study Bibles for our pastors in western Tanzania. For many of these pastors, the FLSB will be the only resource tool they have to help them study the Bible and correctly teach their people the Word of God. We still have a large number of pastors in TZ who have not yet been to Bible School or had any formal training to prepare them for ministry. The picture above is of Esther Mangera receiving the first FLSB; she is an Evangelist and graduated in November from the Mwanza Bible College. She plans to plant a church in the near future.